At eight and with a personality as big as his voice, Mauricio is the next Mexico’s Got Talent. 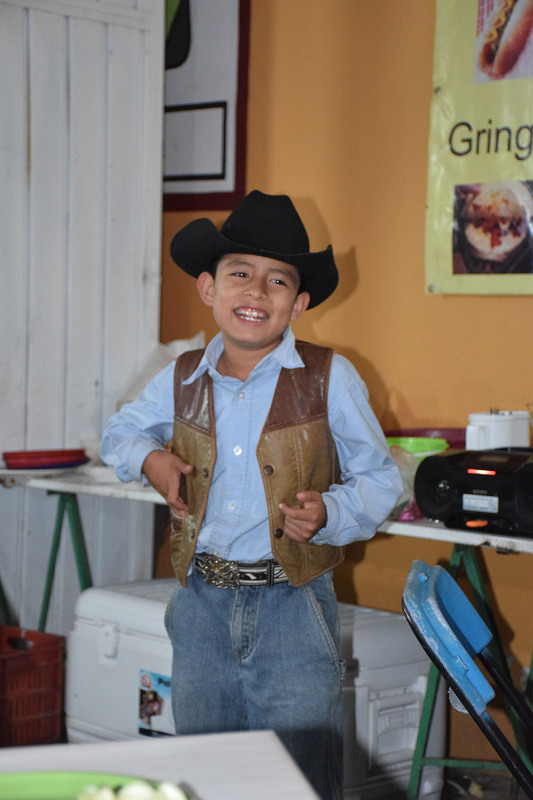 For now, he’s rocking a gig at his parents’ taco stand in Teotitlán del Valle, singing and dancing after he takes your order. It was all part of the magic at the town’s week-long holy festival that culminated in a jaw-dropping fireworks show on Sunday. The more time I spend in Mexico, the more dazed and confused I am re-entering life back in the U.S. Contract writing work, plus seeing family and friends, brings me back to Dallas several times a year. Part of me thrives on getting stuff done quickly and efficiently, shopping with incredible selection, and going into an office dressed in real clothes and shoes to meet with members of my work group. Another part of me is just plain freaked out now by north American life and culture. 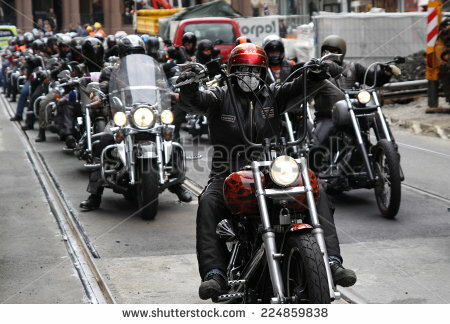 To wit: television news, which these past few weeks has been fixated on deflated footballs, celebrity transgender transformation, the birth of an English princess and a violent biker gang war. 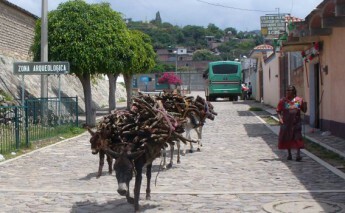 December 12 was a big day in Oaxaca. First of all, it was Virgin of Guadalupe Day – th e day marking the appearance of the Virgin Mary to indigenous peasant Juan Diego in 1531, a huge deal in this state of 16 different indigenous groups. 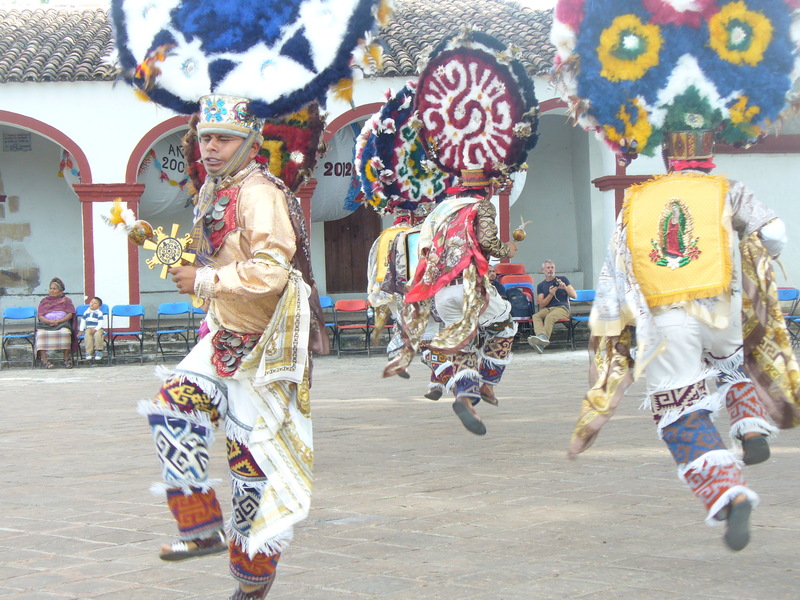 But it was also one of the few annual presentations of the Danza de la Pluma (Dance of the Feathers) in Teotitlán del Valle.